As a business, it is important to always give out receipts when someone makes payments. 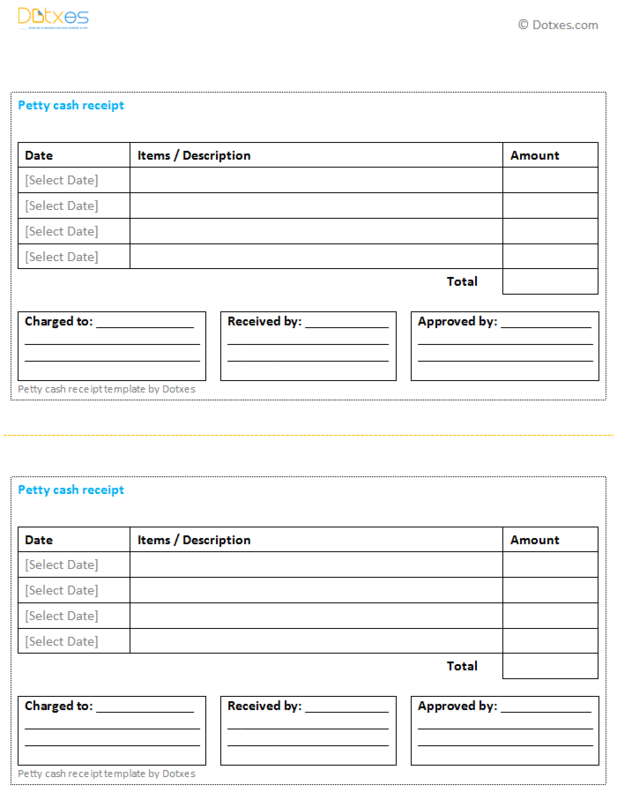 You can create professional looking receipts using this petty cash receipt template. The template is easy enough for anyone to use, so any business owner can create their own receipt through the help that it provides. This template is easy to customize, so you can create a receipt that is perfect for you and your needs. It is very professional in appearance, helping your business to look high class. The template is simple to use and completely free, making the decision to use it an easy one. The template includes space for all of the important and necessary information that you would like to include on the receipt. Always include the date that the item was purchased in the space that is provided. Include the items name and a bit of a description in the field provided on the template. Fill in the name of the person who the order was charged to. Include the name of the person who approved the order, to avoid confusion later on. Edit the receipt to make it fit your needs in any way that you want. Nice and simple design. Thanks.